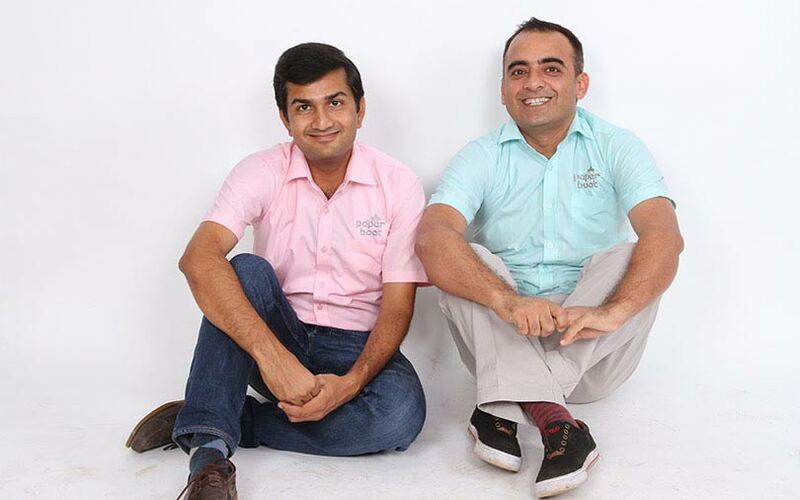 Paperboat founders Neeraj Biyani (Left) and Neeraj Kakkar. Traditional beverages maker Paper Boat sells buttermilk in four south Indian states—Karnataka, Tamil Nadu, Andhra Pradesh and Telangana. While the Kannadigas prefer the beverage infused with curry leaves, Tamilians like it to be flavoured with green chilly, and in Andhra Pradesh and Telangana, consumers are more inclined towards ginger. Even as fast-moving consumer goods brands prefer a one-size-fits-all approach to develop and market products, Hector Beverages, which owns the Paper Boat brand, is increasingly trying to customise its products according to local tastes. It uses its proprietary customer feedback analytics platform to survey customers on a large scale on WhatsApp. Paper Boat’s co-founder Neeraj Biyani says that most recipe modifications are often made after receiving customer feedback at scale. “Today, we get granular data on customer preferences. With technology, we can make economies of scale possible without trading off on customisation. FMCG brands can capture the differentiation, and I think that is where the industry is headed," Biyani explained. The Bengaluru-based company, which counts N Narayana Murthy's Catamaran Ventures as one of its investors, today sells 11 products that evoke nostalgia in customers across 48 different stock keeping units. The company also makes festivity-based seasonal products, which takes its SKUs to 60. "To make these recipe changes, all we need to do is change the modular machinery, which is often done on computers and takes 2-3 minutes," Biyani said. According to the co-founder, product personalisation serves as a driver of mass sales. "We see personalisation as key to premium products like ours to gain scale. As we penetrate deeper into the market, these changes in local taste add more value," he stated, adding that the company still get the advantage of procuring milk in large quantities for buttermilk. To cater to local tastes, the company's Aam Panna drink uses different mango varieties from various regions. For instance, the Aam Panna available in Uttar Pradesh uses the Langra variety of mango while the one in west India uses the Alphonso variety. Paper Boat's factory, which is partially powered by solar energy and situated in the outskirts of Mysuru, is enabled with Internet of Things sensors to monitor all vitals and can be viewed by the co-founders sitting in their Bengaluru headquarters. Any change in temperature, pressure or time difference is rectified immediately on the app by the factory managers. "Our intellectual property is the recipe. A small decimal change in pressure or temperature can alter the taste of our product and the unique differentiation can be lost," said Biyani. It took the company months to identify the exact temperature, pressure and time combination to create the recipe for almond milk, he added. The company is exacting in its attention to detail. For a seasonal drink, Paper Boat factors in the outside temperature variations in a given month when delivering the final product so as to keep the taste intact. For instance, Diwali could fall in October in a certain year and November in other years. This requires the company to change the temperature of the product during manufacturing by a few decimal points for the quality and flavour to remain the same. Paper Boat sells Panakam during Navaratri festivities in the south Indian states. The traditional drink, which is made with lemon and jaggery and infused with spices like black pepper, cardamom and ginger, is sold only for all of three days in a year. Similarly, it sells Thandai in north India during Holi for around five days. Hence, it is important for Paper Boat to get the quantity right. It has to make sure that it procures the right amount of raw materials and dispatches the appropriate quantity to outlets. For products that it has been selling for more than three years, which Paper Boat refers to as mature products, the company can predict the demand by up to 90%. “Our accuracy was only 67% in 2014. A forecasting accuracy of 5% helps us save almost Rs 10 crore annually. Previously, we have erred on both sides and burnt our fingers," Biyani said. Founded in 2010 by Biyani, Neeraj Kakkar, James Nutall and Suhas Misra, Hector Beverages, which employs more than 500 people, began by first selling Tzinga energy drinks. Initially, the company did not have the FSSAI license for the Tzinga brand of drinks and had to stop production. Later, it did manage to procure the license but did not relaunch the drink as it had branded itself as a traditional-nostalgic beverage maker. Now, however, Biyani said that the company does intend to bring back the energy drink and plans to start two more plants soon. But it will sell the drink as a Hector Beverage product and not under the Paper Boat brand. In 2013, it introduced its more successful sister brand Paper Boat, which is available in nine flavours – Aamras, Jaljeera, Jamun Kala Khatta, Aam Panna, Kokum, Golgappe Ka Pani, Chilled Rasam and Ginger Lemon- and Tulsi-flavoured ice tea variants. Hector Beverages has raised a total of Rs 370 crore in funding till date, according to Biyani. Its investors include venture fund Footprint Ventures, Sequoia Capital and Hillhouse Capital. Most recently, it secured venture debt from Trifecta Capital. For the financial year 2017-18, Paper Boat saw its revenue grow 70% to Rs 118 crore, up from Rs 69 crore in the previous year. It had also cut down its losses by more than 40%. Biyani says the company is looking to almost double its top line in the current financial year.